Enjoy fun science experiments for kids that feature awesome hands-on projects and activities that help bring the exciting world of science to life. 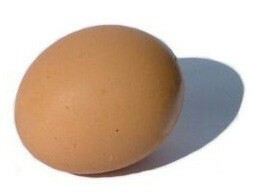 An egg sinks to the bottom if you drop it into a glass of ordinary drinking water but what happens if you add salt? The results are very interesting and can teach you some fun facts about density. Pour water into the glass until it is about half full. Stir in lots of salt (about 6 tablespoons). Carefully pour in plain water until the glass is nearly full (be careful to not disturb or mix the salty water with the plain water). Gently lower the egg into the water and watch what happens. Salt water is denser than ordinary tap water, the denser the liquid the easier it is for an object to float in it. When you lower the egg into the liquid it drops through the normal tap water until it reaches the salty water, at this point the water is dense enough for the egg to float. If you were careful when you added the tap water to the salt water, they will not have mixed, enabling the egg to amazingly float in the middle of the glass.